First sensations, disappointments and triumphs, ups and downs — that's how the first day of the debut LAN final season of Acer Predator Masters in Germany ran. 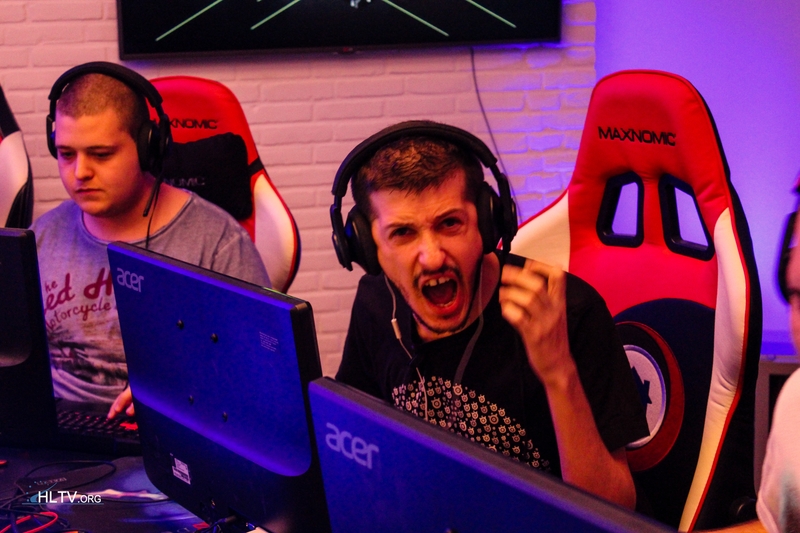 Among the participants of the final stage there is also HellRaisers. Yesterday they lost to Dignitas, but today they still have a chance to fix everything in the meeting with с Team SoloMid. The whole group of talented people had been working on the English stream: ranging from the operators to the analysts and commentators. Their work place was equipped rather informally, on the sofa. During the broadcasting the sofa was deserted a little, but the positive atmosphere was still saved. In spite of the fact that these boys and all TakeTV studio had to spend a lot of time working that day, no one felt tiredness. Our boys and the Danes from Dignitas were the first one to enter the battleground. They were sitting face-to-face and looking into each other's eyes. Of course, the players frequently would let themselves go to brace us the team and demoralize the rival. In HellRaisers Emil Ahundov, aka kUcheR, is responsible for that. How do you think what his lips are saying at that moment? There were less moment to be happy about though. Both Emil and the team would often clutch their heads. The quick photographers managed to eternalize this moment. 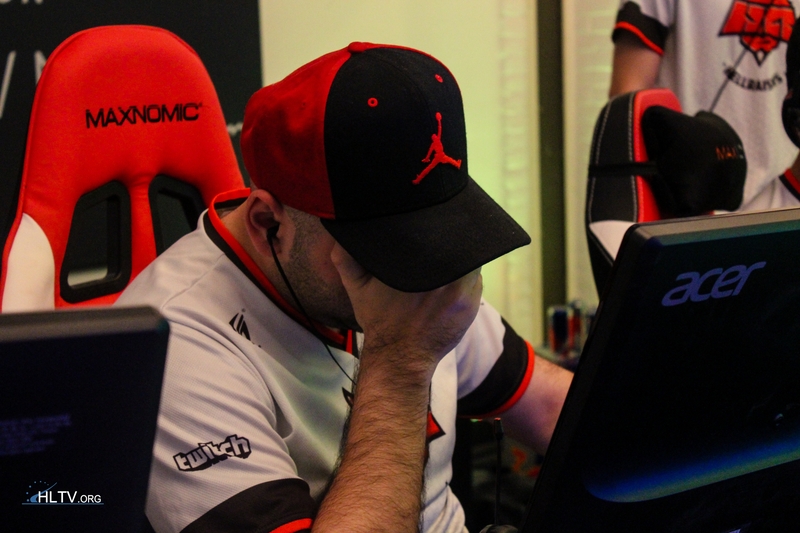 We do hope that in today's match against TSM there won't be facepalms at all! The most extravagant and unusual caster of this tournament is Rahim. What a temper this guy has! Don't fail to come to the stream and check out his work yourself, even if you are not that strong in English. Most part of his phrases are understandable without dictionaries. At the moment of ecstasy, the paparazzi also caught out Germans from KILLERFISH. The match against SK Gaming they lost, but fought with dignity. That's how the work place of the commentators look. It's hard to follow all events around the match, but possible! Rahim and Dan are definitely doing their best. The main sensation of the evening — a loss of TSM to the Bulgarian team Efrag.net. Look into these eyes, do the opponents of spyleadeR have any chances? Although Karrigan and Co. lost the match, they also did have fun. And now they have nothing to do, but feel sad. The last of all, we suggest you watching a spectacular video review of the first day of the LAN Finals, which the organizers have prepared for us. Enjoy watching! 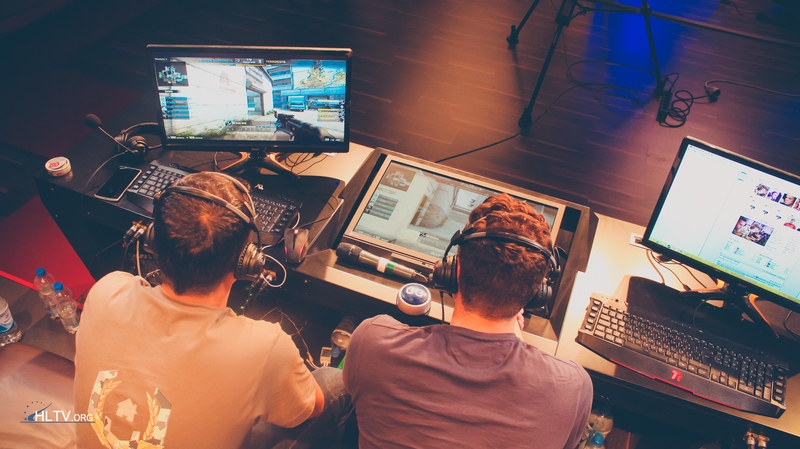 In this heading the photos of TakeTV and hltv.org have been used. You can follow the course of the championship through our report.